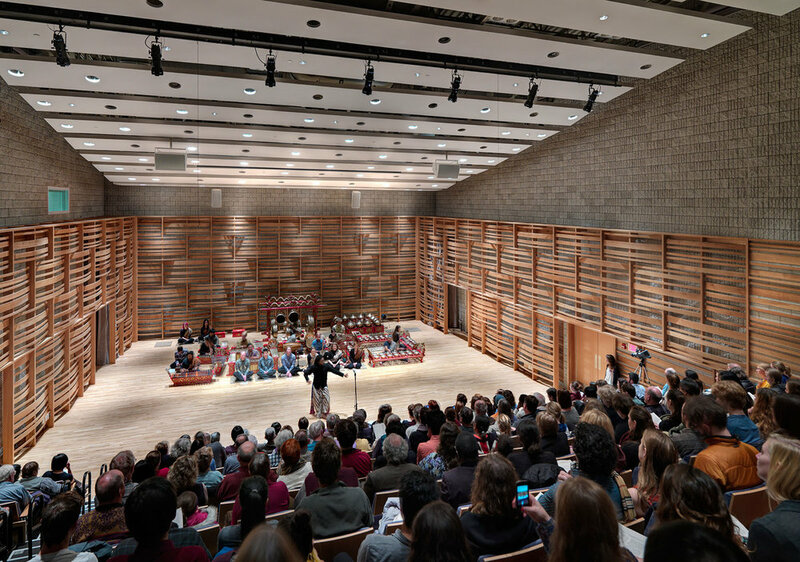 Since the budget at Earlham was challenging, the large music and theatre spaces are simply masonry bearing wall construction, two of them entirely separate buildings inches apart, which inherently provides excellent isolation without springs, rubber, or elaborate wall construction. In Lingle Hall, the block is scored and split-faced, providing all the diffusion required on the upper walls. 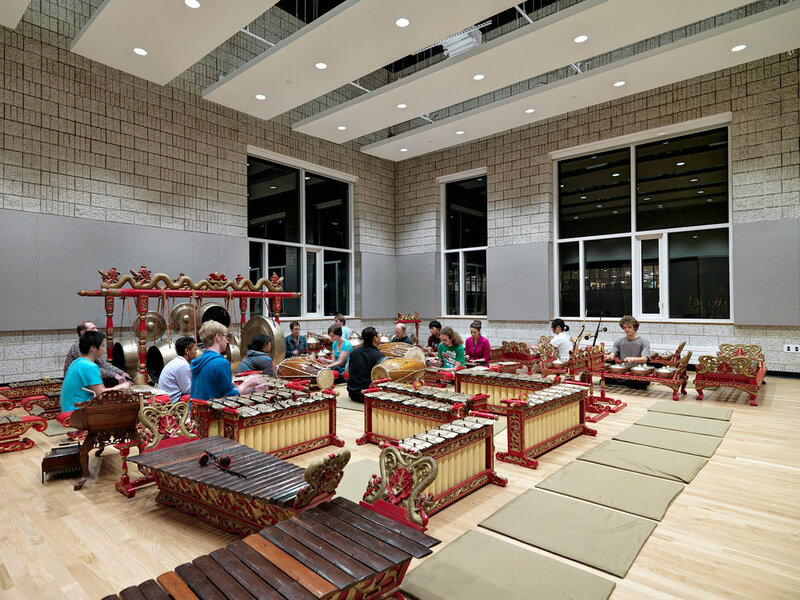 This economical approach allowed concentration of resources on two iconic elements: a sweeping array of overhead reflectors and a diffusive oak screen that embraces the audience, conceals a retractable curtain, and gives the room its acoustic identity as a 260-seat concert venue and rehearsal hall. Extensive AV and variable acoustic systems facilitate recording, teaching, and use of the facility as a summertime conference center.